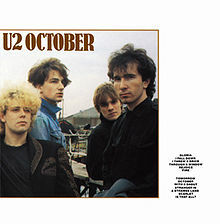 U2’s second album “October actually came to my attention at the tail end of 1981 when I saw it at a record store. However, I was still listening to their debut album “Boy,” so I wasn’t quite ready for their new album. That all changed while I was early into my second deployment to the Mediterranean and Indian Ocean when a fellow marine played the album opener “Gloria” that was on his self made cassette of punk tunes. 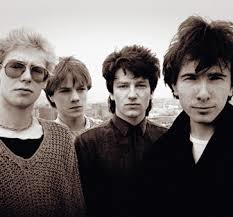 Fact: believe it or not, back in 1981 and 2, U2 were considered punk by the mainstream. I’ve said this before and I know I’ll say it again, back then, anything new or that mainstream commercial radio just didn’t get was classed as punk. 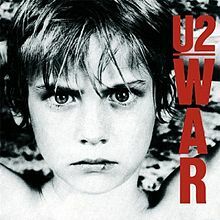 Whether or not U2 were ever punk was not really an issue for me, all I know was that they were quickly growing on me. One reason why was that if I were to choose another name for “October,” I would call it “Boy II” because to me, the second album sounds very much like the first. That’s not a particularly bad thing by the way. Like “Boy,” “October” begins with the best know single from that particular album. I won’t make comparisons because “I Will Follow” will always be my favourite U2 song. Therefore I will not take anything away from the opener here. “I Fall Down” is a good follow on and I’m not sure what to make of “I Threw a Brick Through a Window” but it does stand out in the sense that I didn’t hear anything like it on “Boy.” For me, the album goes down the same road as its predecessor and you could argue “If it ain’t broke then don’t fix it.” Even the end of the album slows down in the same way the closer on “Boy,” “Shadows in Tall Trees” does. While I won’t go as far as saying the two albums are completely identical, they are quite similar. As I said earlier, if it’s not broke, don’t fix it. 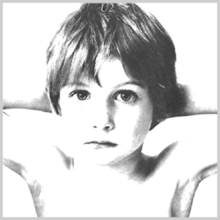 What U2 did with “October” is take their first album as a blueprint and made another album along the same vein. However, it is done in a way that doesn’t put the listener off. “October” would prove to be a small stepping stone towards the next album which would lead them to ultimate greatness in the golden decade. 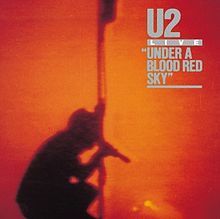 One thing I have always said about U2 was the fact that they were one band that metalheads and trendies both liked.